Protecting your productivity, not just your operators. 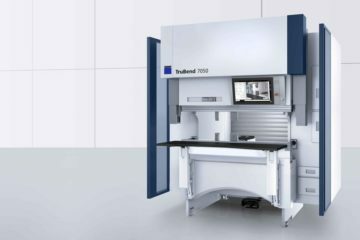 BendShield is a dynamic sensing technology that provides an advanced level of optical tool protection for press brake operators by enveloping the punch tip with a protective field that has no gaps while maintaining high speed operation. With an object detection resolution of 2mm, BendShield detects even the smallest obstruction from any angle. Press brakes with BendShield technology are not only the safest but also the most productive with guaranteed levels of safety and high-speed performance. BendShield automatically scans the upper tool to determine the tool profile then dynamically adjusts the protective zone relative to the tool tip. BendShield also works with a variety of upper tool profiles from V shaped punches to radius and flattening tools. The optical technology adapts to the tool profile to provide an optimal level of protection for machine operators. BendShield adapts to accomodate various part profiles from flat parts to box shaped parts with single and double sides flanges as well as back-gauge fingers for short bend cycles. 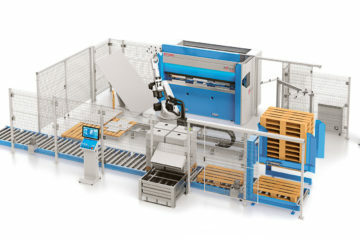 Multiple segments within the protective zone are automatically and dynamically blanked on each bending cycle to maintain high-speed machine operation with optimal protection and minimal interruptions. BendShield not only protects machine operators, but protects against high-speed tool collisions. If operators accidentally install or program an incorrect tool, BendShield protects your tooling investment by avoiding high-speed collisions that could lead to tool damage.